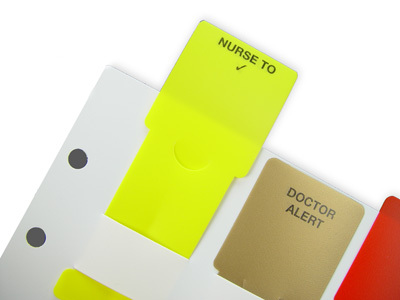 Franklin Mills flag alerts create a visual cue to signal staff of important patient status. Choose from over 50 stock titles or create your own custom flag. 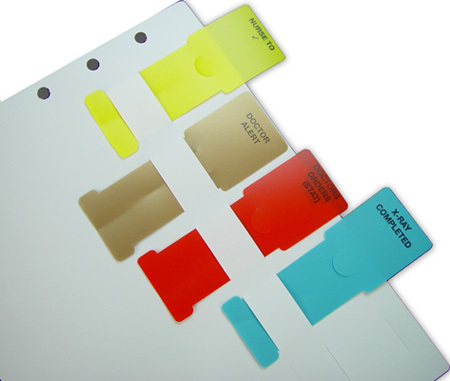 Flags are made of durable poly ad are available in eight (8) bright colors (view our brochure). Each flag alert sheet can hold up to 5 flag alerts per page. 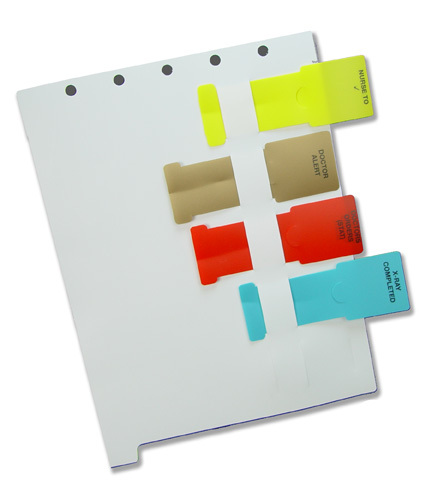 Each alert sheet is available with our without a tab for no extra charge (just specify when ordering).